In this day and age of minimalism, decluttering and interior design prowess, it’s time to get a bit shelfish. No that’s not a typo. So what do I mean by shelfish? “Shelfie” is a term that’s been around since 2014, and, you guessed it, it’s a play on the word “selfie”. 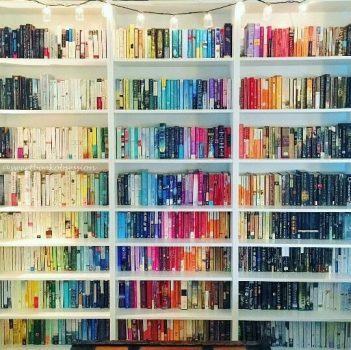 While there are many who have made the “selfie” an art form, there are those of us (like me) who would much rather focus on objects, such as a beautifully curated selection of books in rainbow formation. So why should you consider creating shelfies in your home? 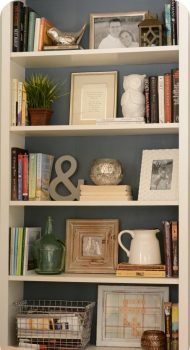 Alphabetical order is great for a library, but when at home, you may want something a little more exciting. Try making them into a design-worthy display of elegance or fun. Size, theme or colour order is a visually appealing way to present them. You can arrange in rows, stacks or alternate/mix with other items in between. Showcase your books with pride – it will make you feel arty and cultured. It’s not just for books. 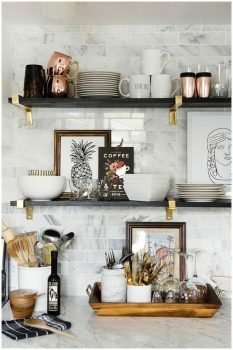 Create shelfies with other items around the home. It’s no good just having things for the sake of having them and then hiding them away. When not in use, aesthetically pleasing items can double up as decorations. You may even have some stand-alone objects that could be re-vitalised as part of a collection. This way you don’t have to buy useless ornaments. Just think of the money you’ll save! Cards, photographs and souvenirs you don’t know what to do with make for stunning displays around the house. Your shelfie can tell your story so when guests come round, they get a hint of what you’re about. Find interesting ways to display these objects so they can be remembered and provoke happy thoughts. Do you have a collection that your are proud of? Vintage china, unusual wine bottles even fashion items such as hats would make a great shelfie. This way, visitors can admire these pieces and your dedication can be appreciated in a fun, stylish way. 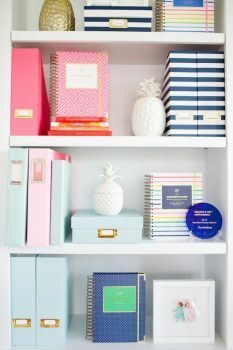 You could also make a shelf theme out of a hobby or interest, incorporating what you enjoy into your décor. Interior design trends are centred on some common themes: nordic, vintage, minimalism, floral. With a shelfie, you can put your own stamp on that particular décor style. Remember to incorporate your personal taste too and create a style statement. This helps to make your home unique and special and it’s something that nobody can copy. Shelfies are a non-permanent solution to home décor challenges. If you are living in student accommodation, for example, you can create some homely design elements with mobile objects rather than permanent paintwork or putting holes in the wall. Already available surfaces, such as mantelpieces and bedside tables, are perfect candidates for creating your own stunning shelfie. 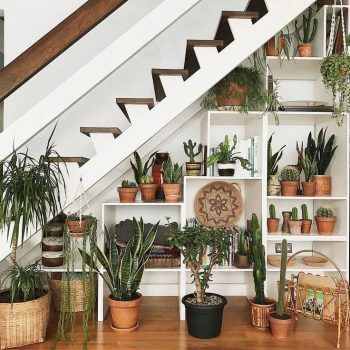 Plus, if you are one of those people who loves to switch everything up every couple of months, you can easily freshen up a shelfie whenever you feel like it. What makes a great shelfie? 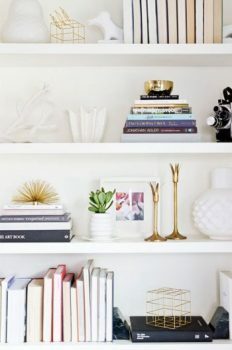 Shelfies can be styled from books, postcards, photo frames, candles, vases, fairy lights, miniature artwork, vintage cameras and other objects you have lying around. 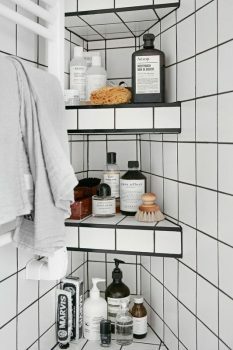 You can create bathroom shelfies from towels and toiletries, bedroom shelfies from beads, makeup and scarfs, kitchen shelfies from utensils, spices and vases, plus home office shelfies from your favourite collectables you just want an excuse to show off. Think about elements such as colour, space, size and balance to get the most from your display. This will mean playing around and experimentation, but it’s all about fun anyway. Trust your instinct and you will get it right in the end. Don’t limit your imagination. 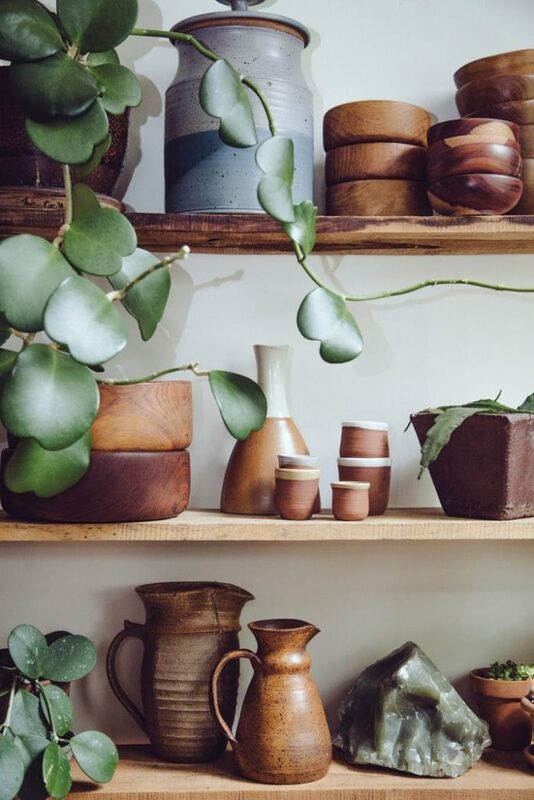 If you have beautiful objects stuffed in cupboards and drawers, it’s time to let their shelfie potential shine. 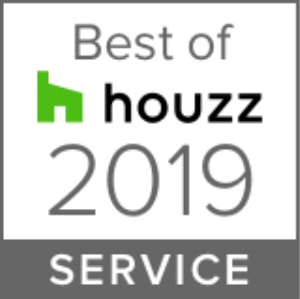 Receive latest tips, trends and offers!